Imagine their surprise when they receive a letter from Santa! 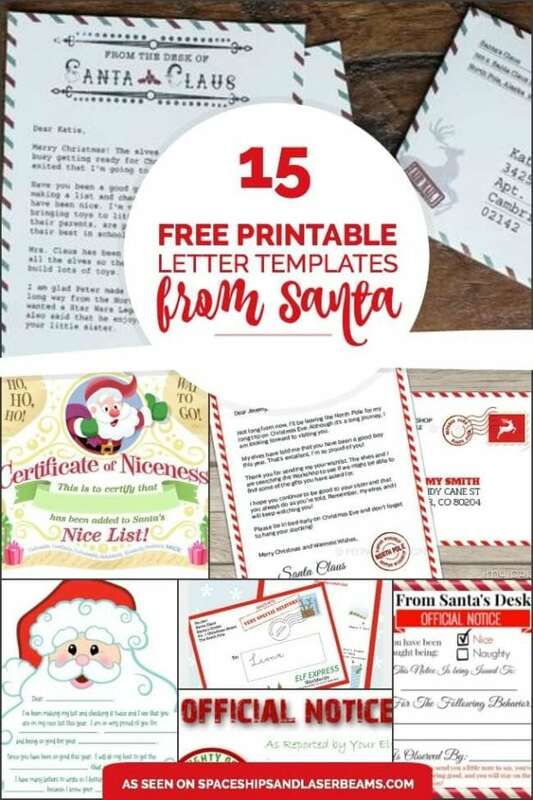 Magical and motivating, we’ve rounded up 15 printable letters from Santa templates you can send to a special child. 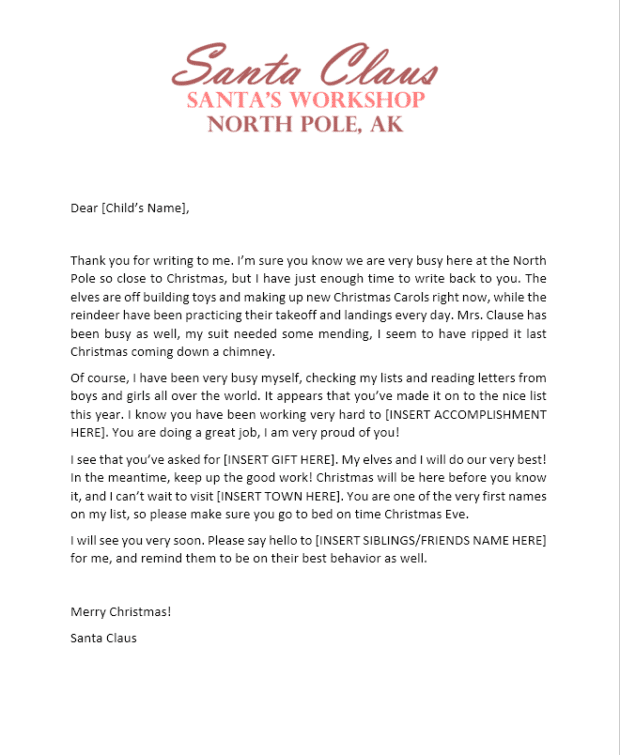 Whether you want an “official” letter from the North Pole, or one sent from Santa’s desk (or workshop), you can find what you are looking for here. There are even “naughty list” notices and warning letters for kids who may need a little…encouragement…to try harder. 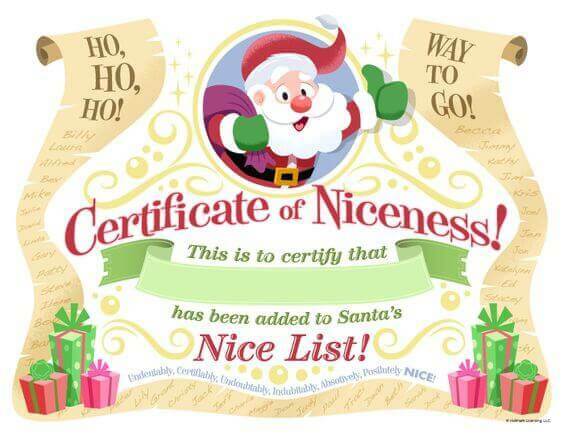 And for those good girls and boys on the “nice list,” there are darling printable Santa “certificates of niceness” to reward positive behavior. Children around the world send countless letters to Santa each year. Make sure they get one back. Start a new holiday tradition with these Christmas Eve Traditions. Bake up a delicious Peppermint Hot Chocolate Dump Cake. Be sure to look at these letters to Santa as well! 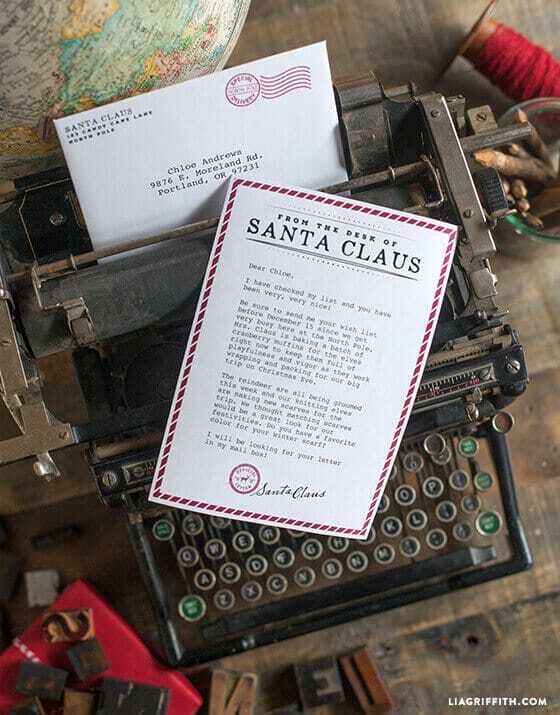 Kids will be excited to receive a personalized letter “from the desk of Santa Claus”. 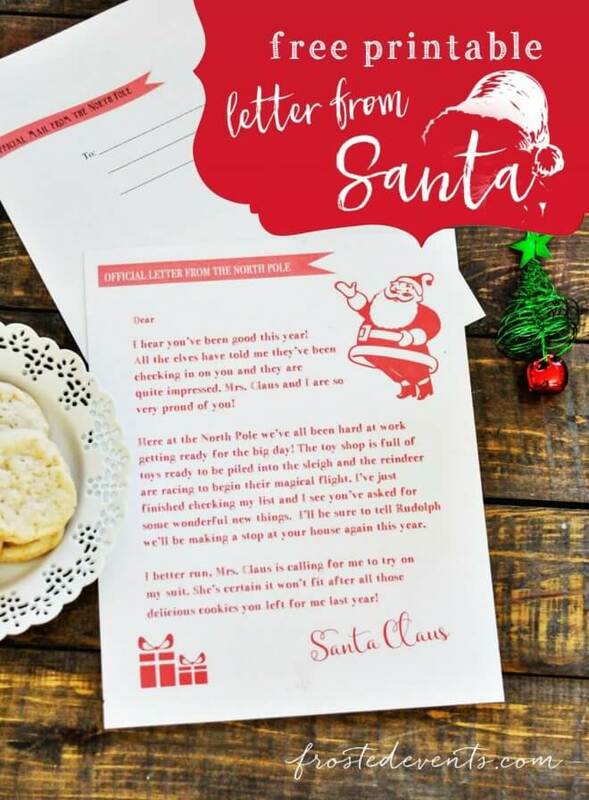 The coordinating envelope makes it very believable, so kids won’t need much convincing to believe that this letter really is from Santa himself! 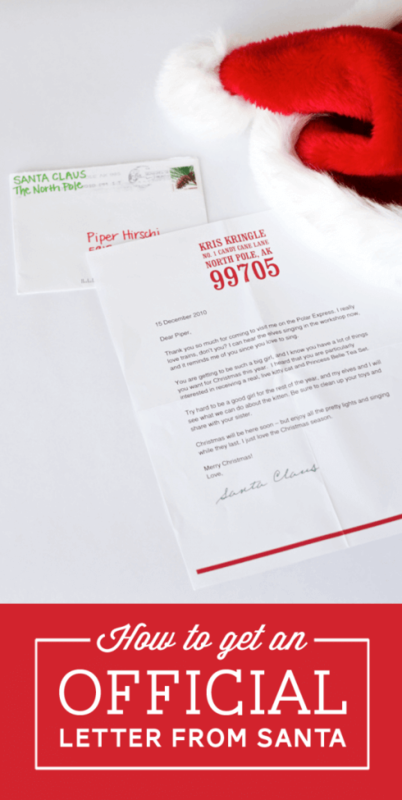 Send special children an official letter from the North Pole to brighten their spirits! 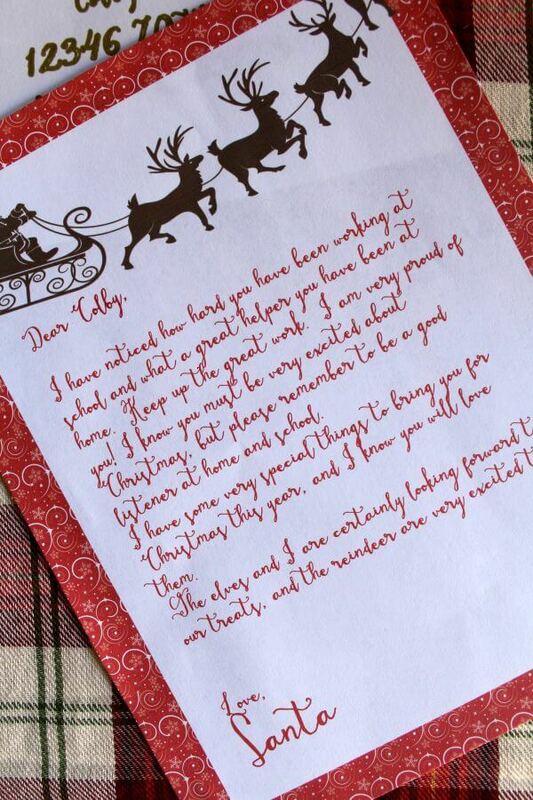 This letter even has Santa’s signature at the end. It will encourage them to keep up the good behavior until the big day! Have a child who has been “naughty”? Remind him Santa and his elves are always watching! 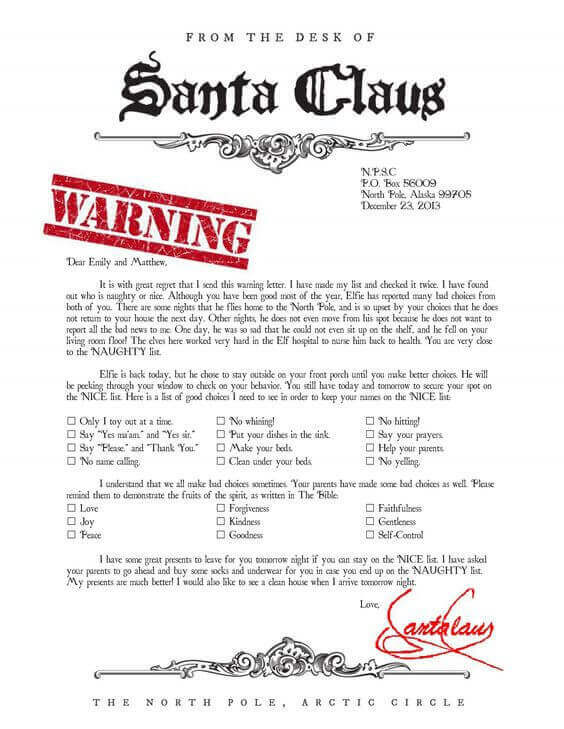 This naughty list warning letter may help them change their ways. I’m pretty sure this would be a VERY effective strategy any time of year, so if the kids are acting up, keep a couple of these Naughty List Warning Notices handy. 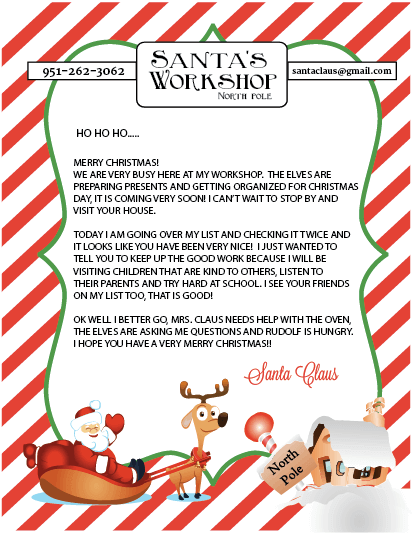 Add a little magic to the Christmas season with a free printable letter from Santa and his elves. Just choose from one of the designs and print. This is a great option because with a few of designs to choose from, you can change things up from year to year. 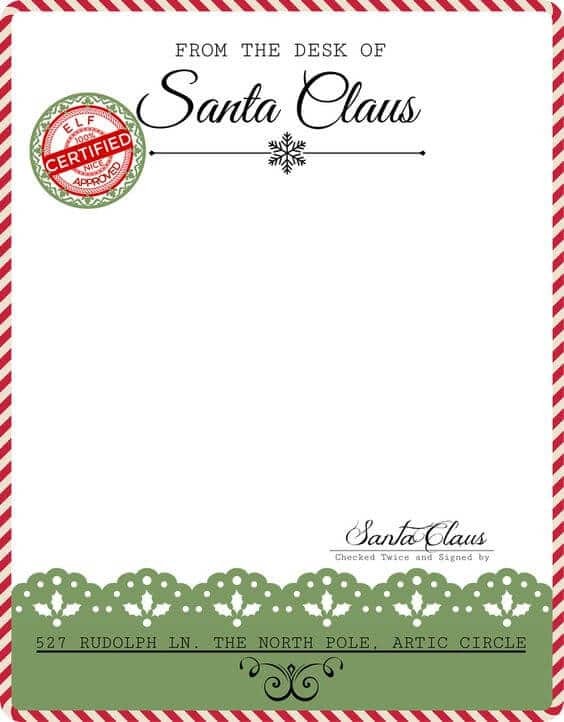 Use this printable writing paper and envelope to pen a personalized letter from Santa. A handwritten letter makes it just a little more personal and convincing, and it will really make kids feel special. 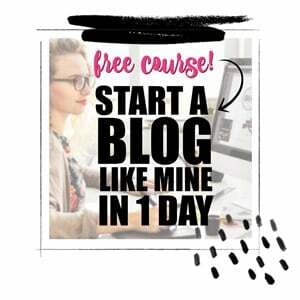 It also means that you can personalize the text to your heart’s content, so get those creative juices flowing. If your kids will recognise your handwriting, ask a friend or family member to write it out for you. 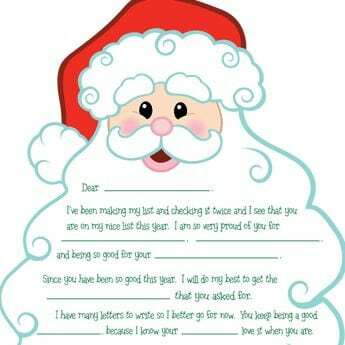 Surprise your well-behaved little ones with a special envelope containing this printable Santa Certificate of Niceness. Rewarding kids when they’ve been good is often more important and effective than disciplining them for bad behavior, so this may just be the thing to encourage them to continue their good behavior all year long! Is anyone’s beard more recognizable than Santa’s? This printable version provides spots for handwritten personalization along with a pre-formatted printed dialogue. It gives you the space to personalize the letter and get creative, but it’s not all left up to you. Have a child in need of a little reprimanding? I would definitely have responded to a letter like this as a kid, as it looks very stern and official. It’s worth a try! 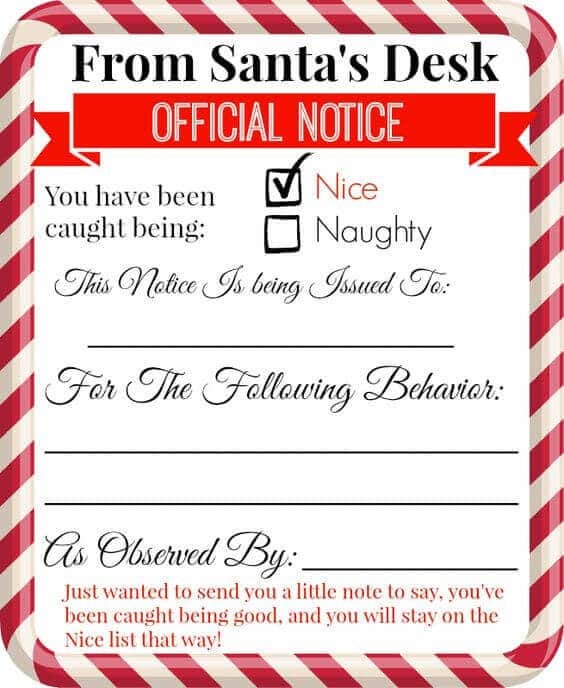 Santa can check off whether your child has been naughty or nice with this free printable notice straight from his desk! Plus, record the witnessed behavior and who it was witnessed by to make things official. This will give kids the idea that you’re in constant dialogue with Santa, so they should always watch their behavior! Santa can send this official nice list notice with your family elf. Just fill out your elf’s name and mark the appropriate reasons for being chosen for the nice list. It definitely looks official, and I love the stamp! Plus, you get to come up with a name for your family elf, which sounds like fun. Whether it’s delivered in an envelope or rolled up and tied with ribbon, a tangible reminder from Santa might be all your children need to keep that good attitude. Here you go! From Elf-approved and certified “nice”, Santa shares his candy-cane striped stationery with you. Handsome graphics and cute snowflake and holly details mean all you have to add is your personalized message. 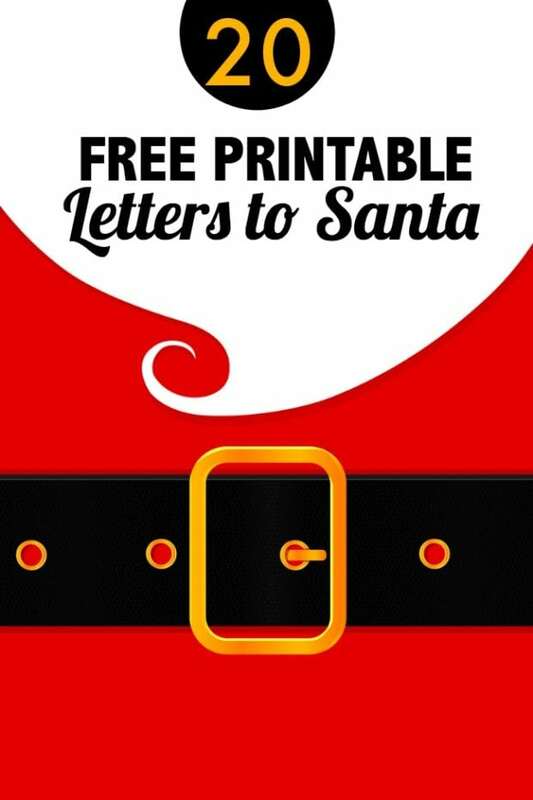 Print this free letter from Santa to remind any child to be good because Santa is coming … soon! I love the addition of the email address, modernizing the Santa experience. 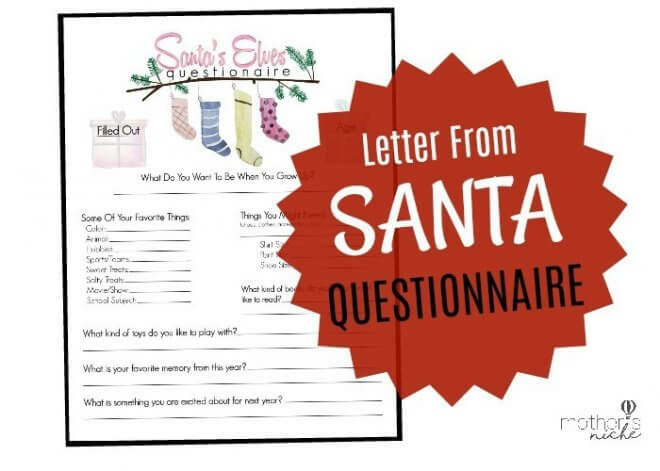 More than asking for an “I want list”, this printable template includes a thoughtful Santa asking children about things such as their favorite memory from the year, kinds of books they want to read, and toys they like to play with. 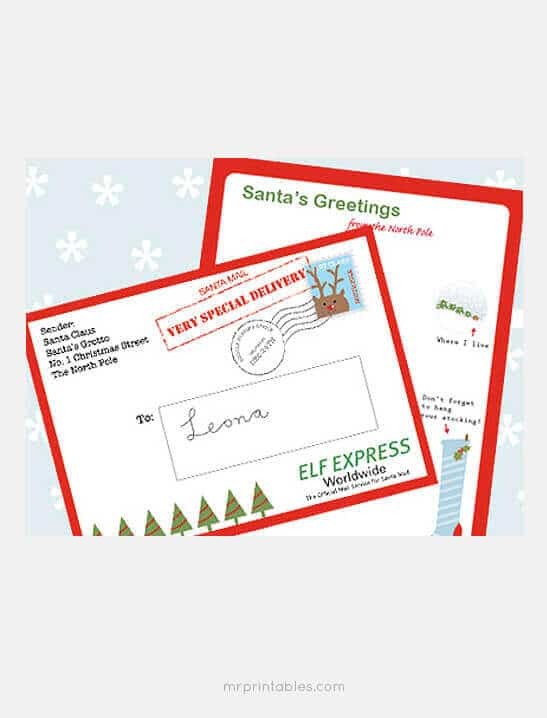 Make your Santa letter look even more official with a North Pole postmark. It’s surprisingly easy to get, but you do need to leave enough time to get the letter there and back. Just make sure that it arrives before December 10, because the North Pole can get pretty busy! Don’t miss these holiday ideas perfect for kids of all ages.